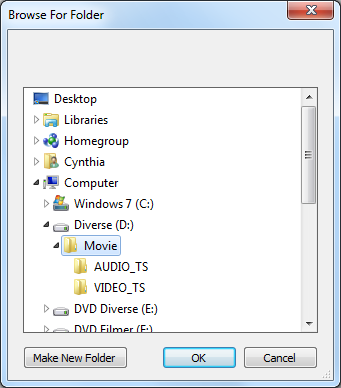 In some cases it's desirable to have a folder set up as a virtual disc for various tasks, like plying a DVD or Blu-ray movie folder with a software player that doesn't support playing the files directly from a hard disk or for game purpose. Normally when you want to emulate a folder so it can be used as a disc, you build an image and then mount it with a mounting program. The drawback is that you need to use twice as much hard disk space as if you use this new feature to accommodate the same end result, i.e. to make an output folder simulate an ISO image. 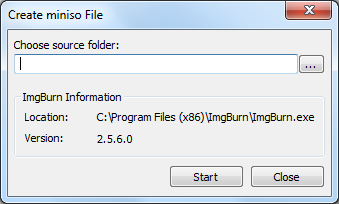 ImgBurn (version 2.5.6.0 and later) has the ability to create a .miniso (mini image destination file). 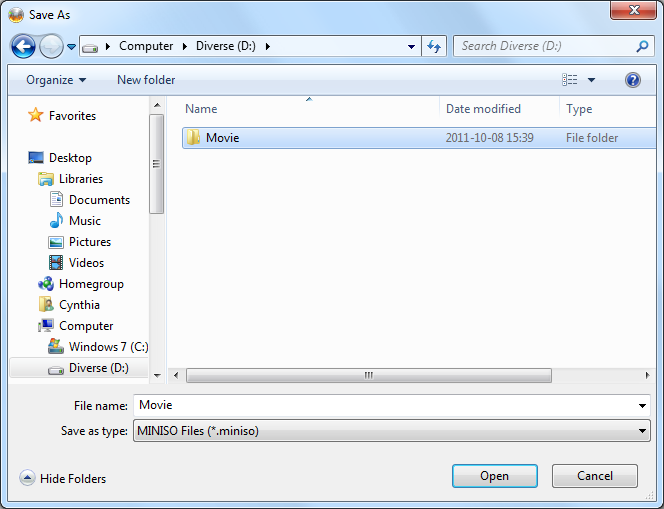 Miniso is a new image file type developed by DVDFab. 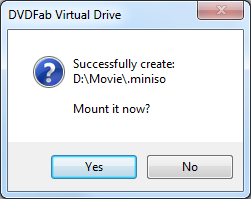 With this .miniso file, you can use DVDFab Virtual Drive to read the file. You also need to have DVDFab Virtual Drive 1.2.0.0 or later version installed, which is always free. When you have a .miniso file created and saved on your hard disk, all you need to do is to double click on the file and the belonging folder will be automatically mounted and ready for use. Note that even if you create a .miniso file, the source folder must remain physically on the hard disk. It's not like when you create an ISO image, that you then can delete the source folder and still have the ability to access the material through the ISO image file. 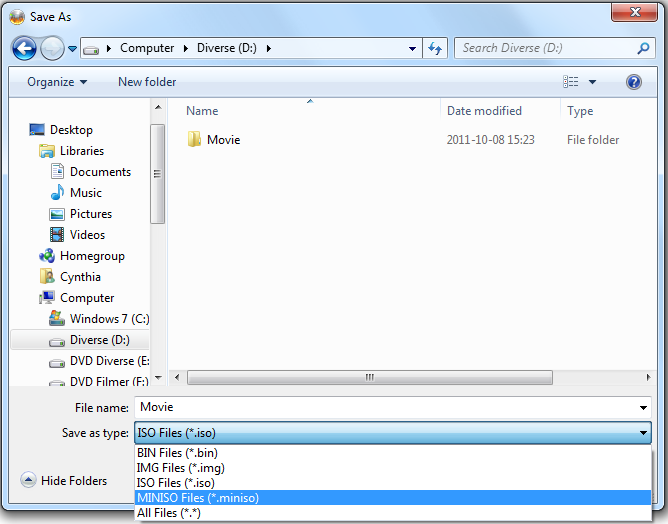 DVDFab Virtual Drive to create it through ImgBurn. 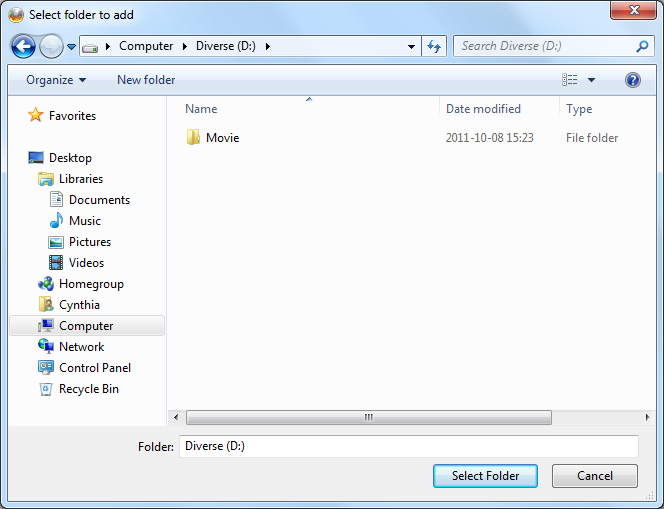 Click on the open folder button, this will bring you up the window "Select folder to add". Browse for the folder you want to create the .miniso file for and then when you have selected it, press the "Select Folder" button and you will return to the main program window. Press the "Browse for a file..." button in the "Destination" box. This will bring up the "Save As" window. Select "MINISO Files" as "Save as type" in the drop down box. "MINISO Files" is now selected as "Save as type". In order to be able to save the .miniso file, browse to the location inside the folder you selected as the source. 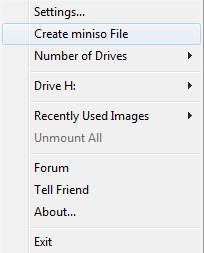 Note: Mini images (.miniso) won't work properly unless they're stored with the files/folders they're built for. 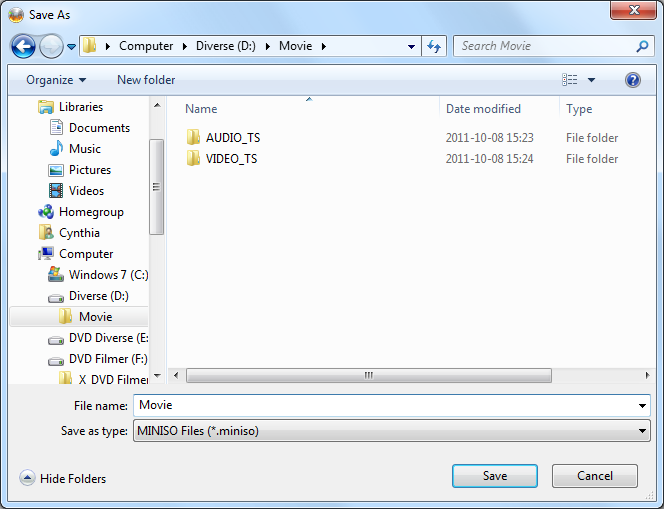 So the .miniso file must be saved inside the 'Movie' folder in this case. Press the "Save" button and you will return to the main program window. Notice the "Destination" box is now filled out with your .miniso file name. 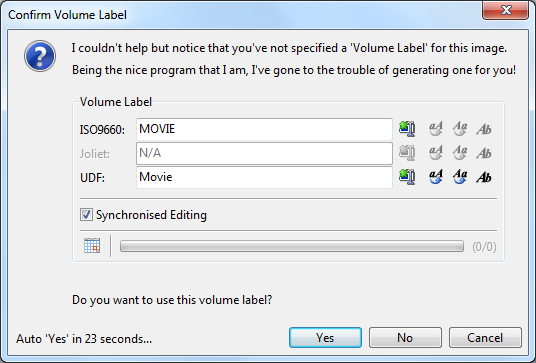 If the Volume name hasn't been set before, select whatever name you want as the volume label. You'll now see an information window for the build you've selected. 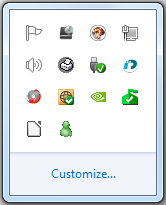 Find the icon for DVDFab Virtual Drive in the Windows Desktop Taskbar.and right click on it. Click on the browse button to bring up the "Browse For Folder" window. Browse to the location of the source folder you want to create a .miniso file for. When you have selected the desired source folder, click on the "OK" button. When the source folder path is selected, press the "Start" button. You can now select if you want to mount the created .miniso file now or do it at a later time. After that the .miniso file has been created, you can find it in the folder of your source. 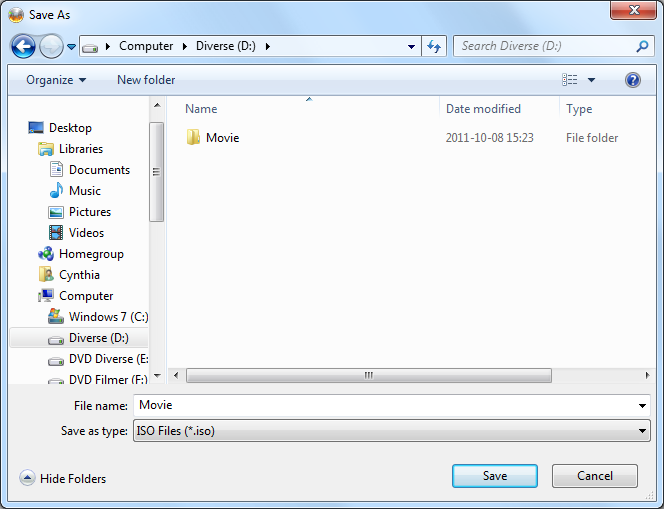 If you want to mount it with DVDFab Virtual Drive, simple just double click on the file. 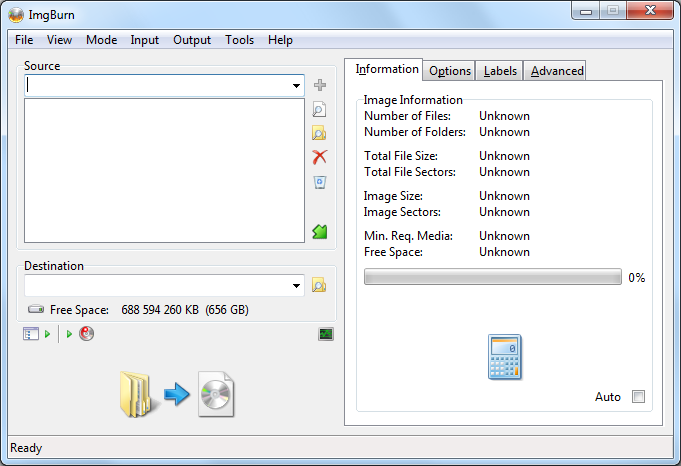 When the source folder is mounted through the .miniso file, it's showing up in Windows Explorer and is ready for use.